The keepers of the Queen’s English have spoken, and the American word of the year is "gif." Yes, gif. Short for graphic interchange format. The gif has been around for 25 years. It’s one of the oldest image formats still in use on the Internet. And during the early days of the World Wide Web, the humble gif was the bane of self-respecting web designers everywhere. Now gif is the Oxford American Dictionary’s choice for word of the year, beating out candidates of more recent coinage like "YOLO," an acronym for "you only live once" and doubtless the final word uttered by more than one Darwin Award recipient. I had to double check my calendar. Indeed, the year is 2012 and not 1995 — as I originally supposed when I first learned gif was the Oxford editors’ choice. The source of gif’s fame is also the reason for its infamy. The gif image format can contain many stills compressed into one file, meaning gif images can be animated into brief, looping movies. This is a feature MySpace users used and abused with abandon back when MySpace was still something people talked about. How many times during the 1990s did you stumble across a website only to find that it was still "under construction," complete with a tiny, animated image of a stick-figure man in a hard hat? That was the gif hard at work. In some dark corners of the Internet, some of those never-finished web pages still exist, still under construction and never to be completed, just like your route to and from the office. So, why is gif the word of the year now? According to Katherine Martin, head of the U.S. Dictionaries Program at Oxford University Press USA, it’s in part because gif is no longer just a noun. It’s also a verb. As the philosophers Calvin and Hobbes once observed, verbing words is fun. Consider the sentence, "I giffed my cat, uploaded the gif to I Can Has Cheezeburger, tweeted the link, and now it has 200 likes on Facebook. LOL." As for the raging debate regarding the proper pronunciation of gif, the Oxford American Dictionary remains agnostic. Its lexicographers maintain that both the hard g (as in "graphic") and the soft g (as in "Choosy mothers choose Jif") are equally correct. I vaguely recall being adamant that one pronunciation was to be preferred over the other, but I can’t recall which. That was a long time ago. Over in the United Kingdom, the UK word of the year is the altogether more impressive "omnishambles." Coined by the writers of the political comedy series "The Thick of It," omnishambles, noun, denotes "a situation that has been comprehensively mismanaged, characterized by a string of blunders and miscalculations." For instance, if you are a British skeptic of the European Union, you might describe the EU’s current financial state as an omnishambles. Then you might laugh and say, "I told you so." But the great thing about the word omnishambles is its flexibility. Say, for example, that the Republican Party’s presidential nominee comes to London in the run-up to the Olympics and behaves like a total jerk. You might call that a "Romneyshambles," as did virtually every British newspaper. Say you didn’t buy enough liquor for your party. The night could end in a "Bacardishambles." If your sandwich tastes a little funny, you may be a victim of "salamishambles." Maybe you think the new season of AMC’s "The Walking Dead" is a bit rubbish? You might call that a "zombieshambles." And if you’re a baseball player who admits to taking performance-enhancing drugs, you could find your career in a "Jason Giambishambles." Unfortunately, calling the Oxford American Dictionary’s choice of gif a "gifshambles" just doesn’t work, regardless of which way you pronounce "gif." Fifty years after James Bond first appeared on the big screen in "Dr. No," the Bond franchise is showing its age. This isn't 007's first midlife crisis. The Bond films turned to amiable self-parody during the Roger Moore years, then drifted aimlessly without the Cold War as background or motivation. Timothy Dalton's Bond is underrated, but the drug war plot of "License to Kill" is the series at its most lifeless. And the less said about the Pierce Brosnan era — it went off the rails after the promising "GoldenEye" — the better. By the time Daniel Craig became the sixth "official" James Bond, more than a new actor was required. The franchise underwent a near-complete reboot, with Judi Dench's spy chief M as the only holdover. "Casino Royale," based on Ian Fleming's first 007 novel, took the character back to basics. Here was a stripped-down, only-the-essentials James Bond, free of the gimmicks and the gadgets. The average person on the street now carries a telephone so sophisticated you'd think Q invented it, while Bond now gets by with just a pistol and a radio. Exploding pens are out; elegant simplicity is in. In the tech-savvy 21st century, 007 distinguishes himself from the rest of us mere mortals by being a lo-fi spy. How things have changed. The new 007's second outing was "Quantum of Solace," the most typically Bondian of all Craig's Bond films, yet the least satisfying. It's a middling entry at best. And now we have "Skyfall," and it turns out the franchise reboot that started with "Casino Royale" didn't end there. Only now is it obvious that Craig's three Bond films form a proper trilogy, to the extent it's instructive to compare them to Christopher Nolan's Batman films. The final film in each series is a meditation on death and rebirth, right down to the contrasting titles, with "The Dark Knight Rises" putting the emphasis on the rise and "Skyfall" on the fall. Fortunately, "Skyfall" director Sam Mendes does what Nolan couldn't — bring the story to a rousing conclusion. Like "The Dark Knight Rises," "Skyfall" gives us a hero whose greatest enemy isn't really a disfigured super-villain with a personal score to settle (be he Tom Hardy's Bane or Javier Bardem's Silva) but time. And time can be denied for only so long. In a film full of surprising contrasts, Silva is one of the biggest. Played by Bardem as a lip-smacking, over-the-top psychopath, he's among the most memorable and extravagant of Bond villains, even as he has the most realistic motivation. 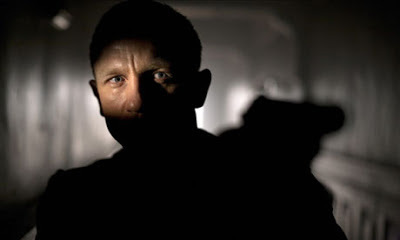 At the same time, "Skyfall" is both uncharted territory for Bond and the closing of the circle. Never before has 007 had a story so personal and faced a threat that hits so close to home. The death of his wife in "On Her Majesty's Secret Service" is the only thing that comes close. Yet by the end, it's telling how little has really changed. The franchise is back where it started. Throughout "Skyfall," Bond and M tell their more modern colleagues that there's no substitute for the old-fashioned ways. You can't replace field agents, entrusted with the power of life and death, with computers and drones. By the time the credits roll, the old ways have won out. Even the old, leather-lined door to M's office is back. Bond's future seems bright, and the Bond of the future seems a lot like the Bond of 1962. It has become cliché to note the thread that unites events like the JFK assassination, the Challenger explosion and 9/11. Everyone remembers where they were and what they were doing when they heard about them. But it's also the case that each of these world-stopping events is tragic. It's seldom that good news has even remotely the same impact. Until now. I was sitting in a coffee shop reading a book when I glanced at my Twitter feed — as I now do habitually between chapters — and saw the news: "Disney buys Lucasfilm for $4B." Followed by "New Star Wars movie due in 2015." Within 20 minutes, I was at a local gaming shop — a den of geek culture — sharing the news. Jaws dropped. Everyone was sure I was kidding. But in these days of ubiquitous smartphones, it doesn't take long for everyone to see for themselves. "Remember where you were when you heard the news," I told them. "One day you'll tell your grandkids about this moment." 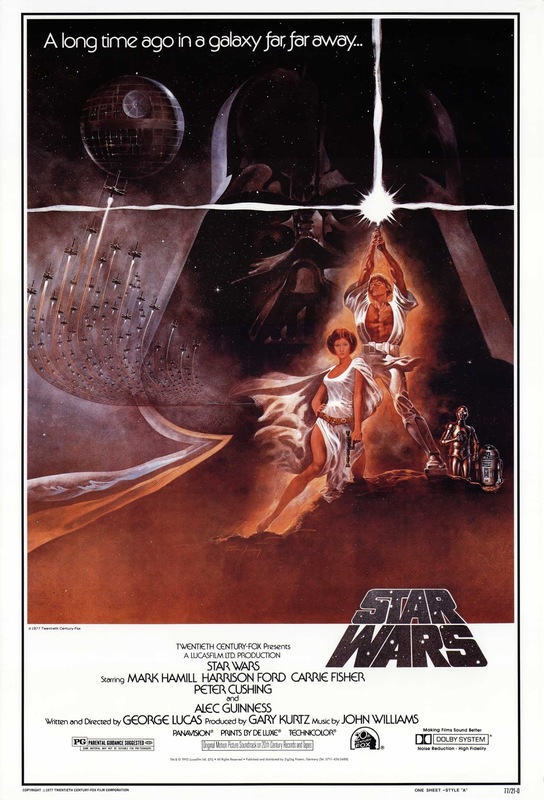 To some this may seem like an overreaction to the trivial, but to my generation and those that came after, it is almost impossible to overstate the cultural impact of "Star Wars." Believe me, those of us who were disappointed in the prequels weren't disappointed because we hate "Star Wars" or are ambivalent toward it. 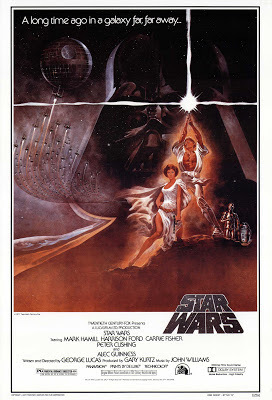 The crushing disappointment of Jar Jar Binks and wooden acting and child Anakin comes from love. And now "Star Wars" is back — a new trilogy taking the story forward rather than backward, only this time George Lucas' involvement will be minimal. He's providing the story outline, but the heavy lifting of the screenplay and the direction will fall to others. "Star Wars" is Disney's baby now. Not long ago, that prospect would have terrified me, but Disney has so far made all the right moves with its other recent acquisition, Marvel Comics, including placing Joss Whedon ("Buffy the Vampire Slayer") in charge of the Marvel movie universe. Disney would do well to find someone similar, with a similar background running TV shows with complex mythologies, to shepherd the "Star Wars" franchise. My free advice is to hire Ronald D. Moore ("Battlestar Galactica") for the overseer role, then bring in an experienced director to helm Episode VII, the first film of the new trilogy. My pick would be Kenneth Branagh, whose experience with both genre movies ("Thor") and Shakespeare is exactly the mix a sprawling space opera needs. The prospect of new blood taking over the "Star Wars" saga made even some of the most jaded fans curious. Can a "Star Wars" free of Lucas' increasingly absurd dialogue and disinterested approach to his actors recapture the magic of the original trilogy? We will know more when we know who is writing and directing the new films, but putting aside any lingering disappointment with the prequels, it's important to remember that this is Lucas' universe. Without him overseeing the franchise, it's possible Episodes VII, VIII and IX may lack something — an ineffable Star Warsness. It's a bold proclamation even I would dispute, but there is a reason why Camille Paglia, in her new book "Glittering Images: A Journey Through Art from Egypt to Star Wars," says Lucas is the greatest artist of our time. Lucas grasps the timeless stories and myths that drive Western culture as few others do. As Paglia writes, he has "created characters who have entered the dream lives of millions." Now Lucas has entrusted those characters to others. We may get movies that finally erase the bad memories of the prequels. They may even be great movies. But will they feel like "Star Wars?"